The easiest and cheapest way to get on the internet here in Narbonne. Avoid the frustration of hotel WiFi that is slow and often doesn't work, forget about loosing your contacts and the limits of a French sim card: you own a personal and password protected unit, with unlimited and shareable data. Discover and enjoy with a professional guide a walking tour through the historical city of Narbonne. Let's stroll through this old and major Roman city, explore its small squares and streets. 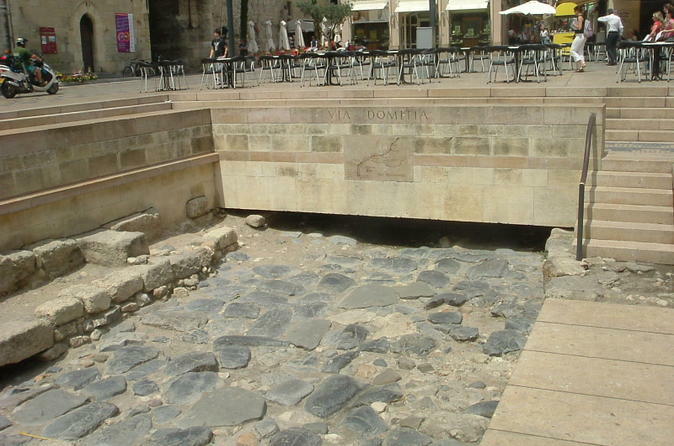 At the corner of medieval streets discover a piece of old Roman road : the Via Domitia. Then be surprised by the beauty of the magnificent St Just-St Pasteur Cathedral, a jewel of Gothic art. In the morning, enjoy the flavours of the local products and the regional gastronomy in the covered market.